A $30 MILLION construction boom is on in an estate where builders have started work on 100 homes in the past year, its developer says. 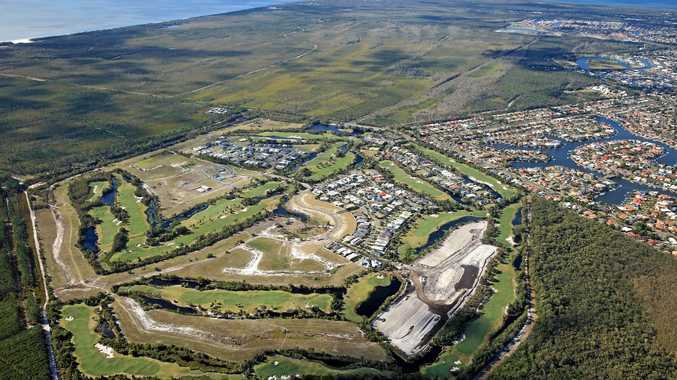 QM Properties sales and marketing manager Annette Mengel said 620 vacant lots were left in the company's Pacific Harbour project at Bribie Island. There will be 3300 lots in total when the project is completed. Ms Mengel said a spike in sales had occurred at the estate. "Fishing, swimming, boating and access to beautiful beaches - for many years, people have viewed Bribie Island as just a holiday destination," Ms Mengel said. "Now we are seeing more and more people realise that they can afford the island lifestyle, in a market tipped for capital growth." She said builders taking advantage of the spike included NuTrend Quality Homes, Stylemaster Homes, Mancorp Quality Homes and Abbott Builders.